Perimeter Technologies is the new kid on the block with Dog In-Ground Fences. Don’t let Perimeter Technologies new name fool you. Perimeter In-Ground Dog Fences were developed by the former lead engineer of Invisible Fence Brand®. 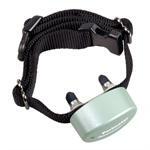 Perimeter Technologies manufactures two great brands of electronic pet fence products. Pet Stop®, their fully featured Dealer serviced and installed professional line and Perimeter, their retail do-it-yourself product. Whichever brand suits your needs best, Perimeter has you covered. Perimeter has the experience and knowledge needed to engineer and manufacture top of the line Dog In-Ground Fence. In 2001 Perimeter Technologies was joined by John Purtell, perhaps the most accomplished executive in the business. John founded Invisible Fence® Company in 1976, managing its dynamic growth throughout the '70s and '80s from a start-up into the largest pet containment organization in the industry. The Pet Stop® brand pet containment system is professionally installed and serviced across the United States and Canada via a network of 185, and growing, dedicated Dealers. The 2006 Radio Systems acquisition of INNOTEK® and Invisible Fence® created yet another new opportunity for Perimeter, a new do-it-yourself dog fencing system to give consumers choices at retail; enter Perimeter™ brand, the world’s most advanced DIY, American designed and manufactured pet containment system. Perimeter Technologies with our Pet stop® and Perimeter™ brand offering is committed to providing consumers with safer designs providing greater peace of mind. Why settle for anything less? Designed, Engineered and Manufactured in America.